Organized in Cellular jail; the Son-et-lumiere (Sound and Light show) witnesses hundreds of spectators daily. Enjoy the impressive and stunning sound and light show and revive the feeling of nationalism within you. 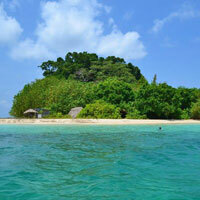 Ross Island is a beauty in itself and is always occupied with enthusiastic and adventurous tourists. All the tourist spots together comprises the Ross Island, with some of these are rickety Cathedral, graveyard, and the Chief Commissioner's house. The amazing marine life of the Andaman & Nicobar Island is well depicted in the Fisheries Museum. It also depicts marine ecosystems of the Indo-Pacific and the Bay of Bengal. This is the place for you if you are an Aquatic life lovers, you will definitely have a great time visiting this museum. Enjoy your time in Carbyn's Cove Beach by swimming under the bright sun or enjoy the soothing breeze on the shores. 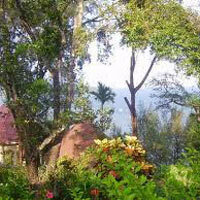 Cove Beach houses many palm and coconut trees that will surely attract you. The shores are flawless whereas the beach water is ideal for swimming. So, just spare some time and relax under the sun. Exhibiting the various artifacts formed with materials such as the local wood products, coconut, and sea shells etc., Sagarika-Cottage Industries Emporium is a place to experience all this. This Sagarika-Cottage Industries Emporium is creative in every sense of the word and the products have designs, which can be crafted only by artistic geniuses. Famous mostly among science-loving students; the science center houses a modern technology gallery, the science of oceans, Taramandal, and a fun science gallery. 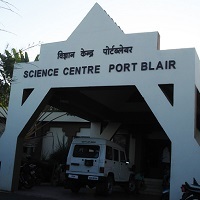 It is frequented by school and college students from different corners of Andaman to explore another dimension of Island. An ideal place to spot birds resting and chirping, Madhuban forest area is suitable for bird lovers. 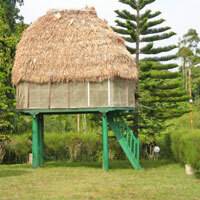 This place is heaven for bird and trek lovers. Nothing is better than finding a best place for trekking and bird watch. Mark this place and for sure, you will explore something you have never experienced before. The best site to witness the various cultivating processes and activities of crops like cloves, cinnamon, nutmeg, pepper etc., Sippighat Agricultural Farm is the place to enjoy your experiences of exploring the agricultural scenario of Andaman. Come up with your family and watch the ongoing activities yourself. Yet another favorite site for tourists to spot different kinds corals and aquatic mammals, Jolly Buoy/Red Skin it is! Explore the breathtaking marine ecosystem of Andaman and add on some more memories, experience to cherish throughout the life. One should definitely visit this island and enjoy their time discovering such creatures in Jolly Buoy/Red Skin. Rajiv Gandhi Water Sports Complex, offering various facilities inclusive of parasailing, paddle boating, kayaking, water skiing boat rowing, sail boating, water scooting etc. For adventurous people, this is a place not to miss; one can thoroughly enjoy these water sports here. Samudrika, a Marine Museum run by Indian Navy is worth the visit Encompassing a good collection of corals, shells, along with the history, archaeology, marine life and people of Andaman Island; it can be visited to gain knowledge about the same. So get the insights about the geographical information as well! Ranked amidst the famous historical places, the Cellular Jail, used by the Britishers to imprison the Indian freedom fighters, was built in the year 1886. Cellular Jail or the Kala Pani, during British period all the prisoners were kept their as a punishment. Mount Harriet, one of the third highest peaks in Andaman & Nicobar Island is well-known for the breathtaking aerial view of Port Blair. 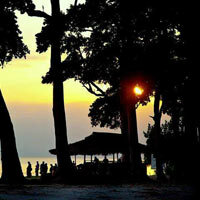 With spectacularly stunning and attractive places to visit, Mount Harriet is another tourist attraction in Andaman. This place is a must add in your checklist. 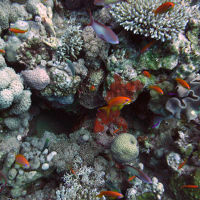 Mahatma Gandhi Marine National Park, depicts the marine life of Andaman Island and one can also enjoy scuba diving here. Enthralling thick vegetated islands, marine waters, excellent coral reefs and gleaming sandy beaches and the mangroves are the experience of a lifetime and a must visit place. It embodies rich marine life, consisting of a variety of coral reefs, fishes, mollusks, shells, starfish, turtles, salt-water crocodiles etc.